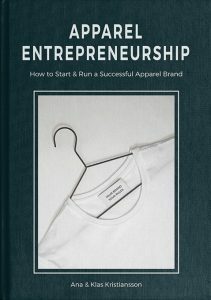 Apparel Entrepreneurship is an inspirational and educational book that will guide you in the achievement of starting and running your apparel brand. It provides you the education and experience to do it, together with hands-on tools and steps to action. It gives you the information and tells you HOW to implement it in your business. 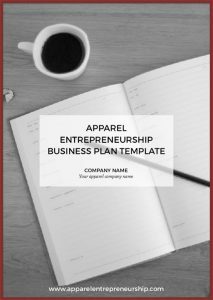 – Efficiently learn how to run an apparel business, from idea to market launch, and beyond. – Tap into industry experience avoid costly mistakes. – Make your apparel brand get noticed and align your business with your highest values. Step-by-step in all parts, from business setup, building partner relationships, product development, to marketing, branding, and how to sell online. In this book, you will learn the full process, get extensive content that will make you take full ownership and grip of all business areas involved in a brand. – Market levels in the apparel industry. – Components of a thriving clothing company. – Customer profiles & how to define your customer. – How to brief a designer. – Naming your apparel brand. – Ten steps to master cash flow. – Beware of hidden costs. – How to protect your brand & products.